For several minutes before touchdown a few dozen scientists at the Jet Propulsion Laboratory in Pasadena, California, held their breath as InSight entered the Martian atmosphere. During the roughly seven minutes the spacecraft went dark it had to carry out some essential functions without the guidance or supervision of earthlings. After its heat shield protected InSight from a fiery entrance into the Martian atmosphere, the craft’s parachute deployed as designed, the descent engines fired up, the heat shield disconnected without hitting the probe and the landing legs dropped. It was a sequence that took the spacecraft from a speed of 13,200 mph to a soft touchdown. All at a cost of $814 million, according to NASA. 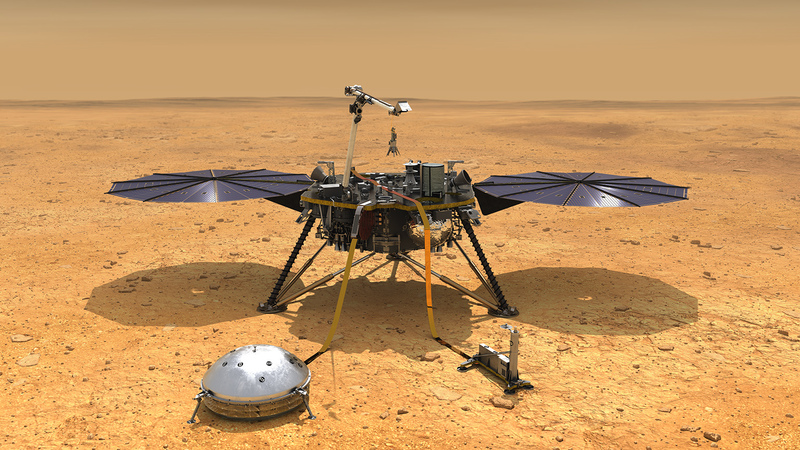 InSight became the eighth NASA spacecraft to successfully land on Mars over the last 42 years. But unlike its immediate predecessors, InSight will not roam the Martian surface but rather stay put on what scientists call a flat and “boring” area of the planet near its equator, called Elysium Planitia. The spot was chosen to ensure a flat surface free of rocks for the stationary probe to conduct its experiments. The probe will literally break new ground as it begins to uncover some of the mysteries that remain about our neighboring planet. Among the innovations designed for InSight is a new way to transmit its data to Earth. In the past, landers had to send information to satellites orbiting Mars which then transmitted it to Earth, a process that took up time. But for the first time in planetary exploration, InSight traveled with two small companions alongside it called CubeSats. InSight will be powered by solar panels that will unravel like semicircular wings around it. But Jet Propulsion Laboratory engineers still have about three months of work to gradually get the craft ready for its landmark experiments. However, people on Earth should be seeing new images of Elysium Planitia in the coming days.